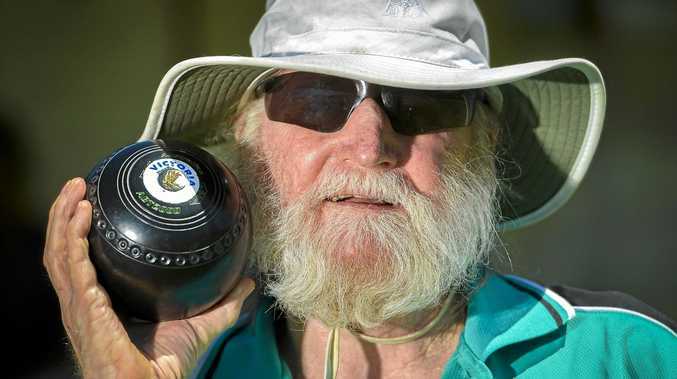 LAWN BOWLS: He does his own cooking, lives by himself and is totally independent. That is despite Calliope Central Lawn Club stalwart David Byars being almost totally blind. The Gladstone resident's impairment has not stopped him from playing in various competitions which have included representative duties for two states. "I was diagnosed in 1995 with Retinitis Pigmentosa, a disease of the retina and and it's a regressive disease and at the moment I have three per cent vision," Byars said. As a result he could not continue working, but got into lawn bowls in 2000. That was in Darwin where he lived at the time although he had to give away his other sporting passion, golf. "I was introduced to a blind bowler up there and from that I got to represent the Northern Territory," he said. Byars headed south to Melbourne where his success in bowls continued. "I represented Victoria, but I also went to the World Blind Bowls Championships in Johannesburg in 2005 representing Australia," he said. Byars said the it was a great opportunity meeting other athletes with disabilities in the Northern Territory and in Victoria. "It opened my eyes that you can still go on with life and I've never been the type of person to sit down and say 'poor bugger'," he said. "I just feel that I'm a normal person with broken eyes." So the obvious question was how does he play lawn bowls? "I have a sighted director who explains to me what hand I have to bowl, the distance from the mat to the jack and from there I put the bowl in my hand and calculate in my mind what I got to do and bowl," he said. "The main thing is I got to look at my feet and have got enough vision to see my feet on the mat and that is where I line myself up to send my bowl away." He made the singles final back in 2016 and won the club championship. A friend introduced Byars to the Calliope Central Bowls Club almost 10 years ago where he met club manager Brad Henderson. "I told him that I'm a blind bowler and he didn't hesitate to accept my membership and from that day the club has been very, very welcoming," Byars said. 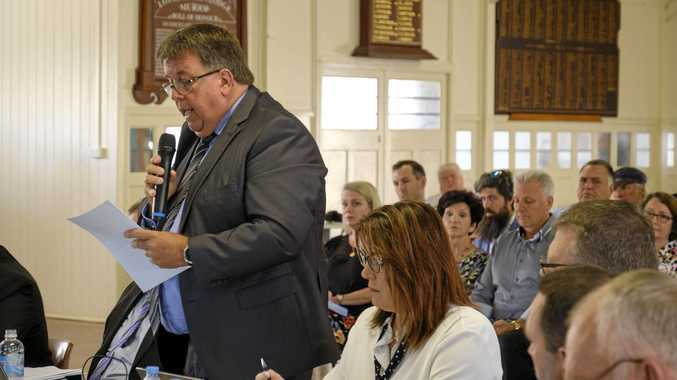 "They got behind me when I suggested that we have a guide dogs fund-raiser and we have now raised close to $30 thousand with our annual bowls day for guide dogs." Byars' previous guide dog Queeny has now retired, but he will soon meet his new guide called Trevor. "The irony of all this and the great part about all this is that each year the money goes toward supporting a litter," he said. "So in 2016 we raised $5200 and that went towards supporting the T-litter for the first 12 months of their life and Trevor comes from that litter." He said all the people who have attended the guide dog days and bought raffle tickets have played a big role in Trevor's imminent arrival to Gladstone. Calliope Central Bowls Club president Graeme Kanofski said the club is all about welcoming players - with or without disabilities. "If we can help some people get some really quality things in their lives, then that's great," he said.